The Canadian criminal court system is good at producing legal outcomes that follow the law—but the very rules that make criminal courts do this well are precisely what make them ineffective at doing other things well. Smart Justice recognizes the difference. It knows when the strengths of the criminal court system are needed. It makes provision for more appropriate options when they are not. Canada’s system of criminal law is adversarial for good reason: the stakes are high. 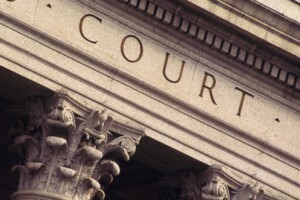 Opposing lawyers vigorously debate the legal merits of all the evidence so that a judge or jury can draw conclusions after hearing from both sides. Potential sanctions for a conviction are punitive and coercive and a criminal record severely limits future life opportunities. There is a big incentive to fight long and hard to avoid this result, no matter what else. The State is subject to great scrutiny before it can deprive a citizen of rights. But for victims devastated by criminal acts, there are drawbacks. They quickly learn that in courtrooms like that, their experiences will be called into question and their needs will not be addressed. Nor is such an environment a safe one for accused persons to take any responsibility for what has happened; after all, everything they say increases their risk of tough punishment and social discrimination for life. The legal battle – and expect worse as penalties increase – can leave people feeling angrier: hurt, misunderstood and re-victimized. The restrictive rules and procedures can be frustrating and emotionally unsatisfying. Many people are surprised when the court result fails to meet other hopes they may have for “justice”. It has long been recommended in Canada and elsewhere that criminal courts be reserved for cases of seriously harmful and wrongful conduct: treating a host of others in the same way undermines its impact as society’s institution of ultimate recourse. It also overwhelms the courts with cases for which complex legal procedures are neither necessary nor helpful. There are long delays before cases can be heard, resulting in plea bargaining tactics that tie up expensive court time, cause more delays for others, and reduce public confidence in the legal system. But the situation has worsened. Courts are clogged and in the last 20 years, the number of days and court appearances to conclude a case has more than doubled: months turn into years! The impacts of this crisis on communities are far-reaching but often overlooked in terms of overall toll. Ongoing delays mean prolomged uncertainty and stress for victims, witnesses, accused, and those around them; extra expenses, time off work, worries for job, children, families, even housing. They add to pressures on medical and social services, and prisons crowded with unconvicted accused. They increase risks to public safety and health. Worst of all, they postpone dealing effectively with the problems, conflicts and community relationships involved in the case. As time moves on, the case can fold altogether if memories blur or witnesses are gone. This can’t be Smart Justice! Smart Justice would implement what has long been recommended: reserving criminal courts for cases that require them so they can address them sooner and more effectively. And for the others? more victim services; more referral of police calls to community, health and social services; earlier scrutiny of evidence by Crown Attorneys; more referrals for alternate resolution outside the adversarial courts; more bail supervision with supportive housing, employment and social assistance, in the community; and more specialized “courts” staffed by health and social work professionals in a non-adversarial setting that does not require a criminal court judge. That’s how we get there from here.